Arriving at London, first thing : visiting Liberty shop. There is no way that I would not go there, even with a flu, even with fever! Somewhat crazy when I think of it! Anyway, here I am in front of my favorite department store, the most stunning and charming place! 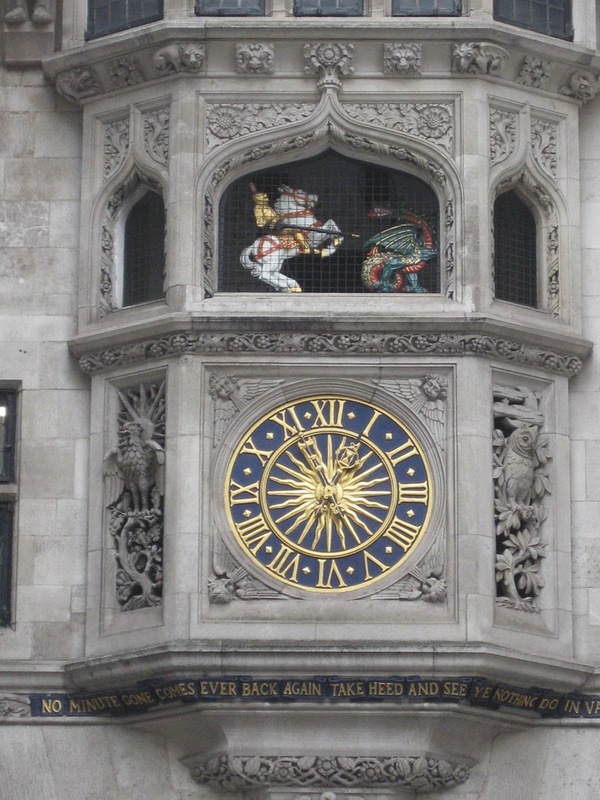 A short history about this London shop in Regent street : It was founded in 1875 by Arthur Lasenby Liberty, a pioneer spirit. It was selling mainly art items and fabrics from Japan and East. 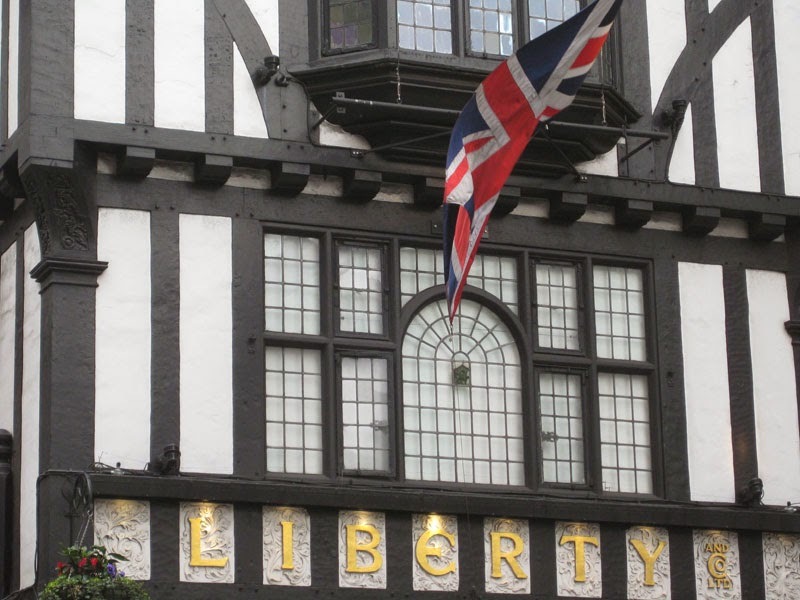 It became quickly the most fashionable place to shop in London, and the Liberty fabrics well-known all-over the world. Personnaly I am crazy about this architecture. The inside decoration is called Arts & Crafts and Art Nouveau, and is so beautiful and interesting! 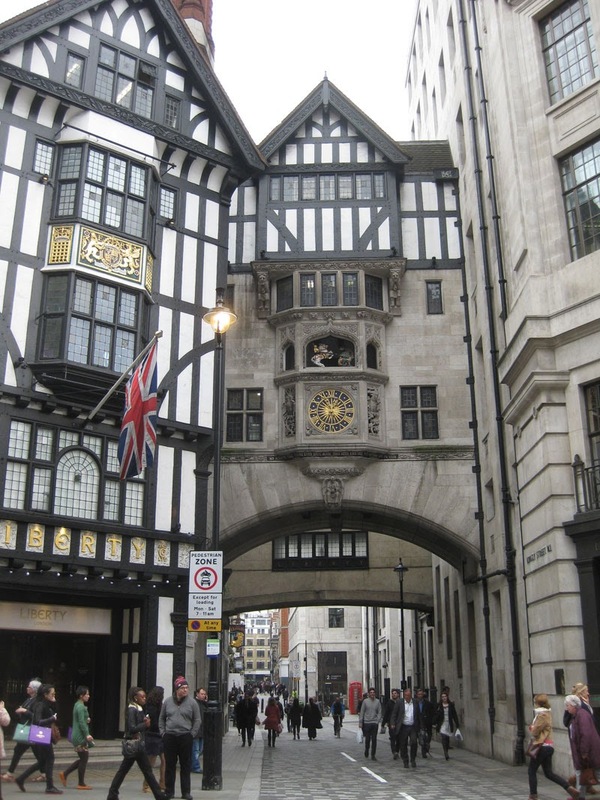 This luxury shop was growing and was added in 1920 the extraordinary Tudor Building, built with timbers of two ships. When you walk inside, you have a kind of feeling like being at home, going from a small wooden room to another. Some rooms even still have fire places! Some lifts are antique, in wooden curved oak. I hope I made you enjoy this visit at Liberty's with me! 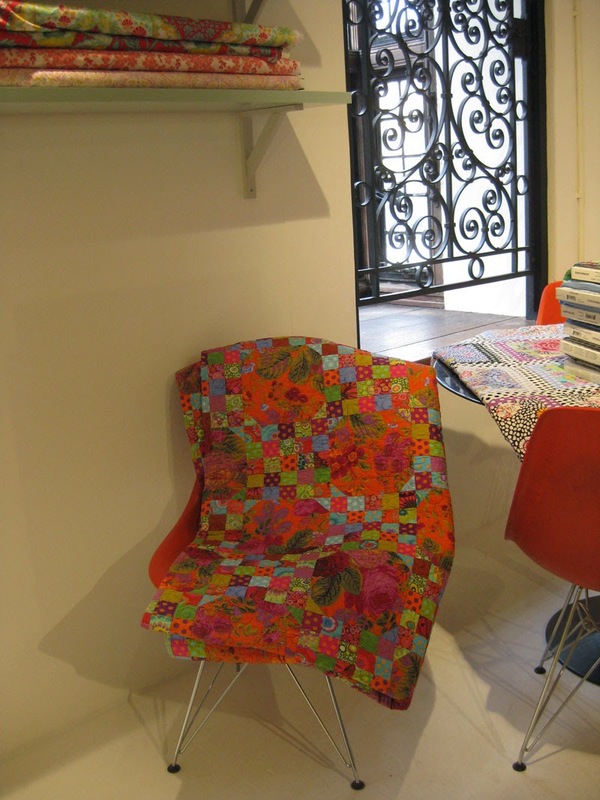 The visit will go on soon, showing Liberty fabrics (Second part). 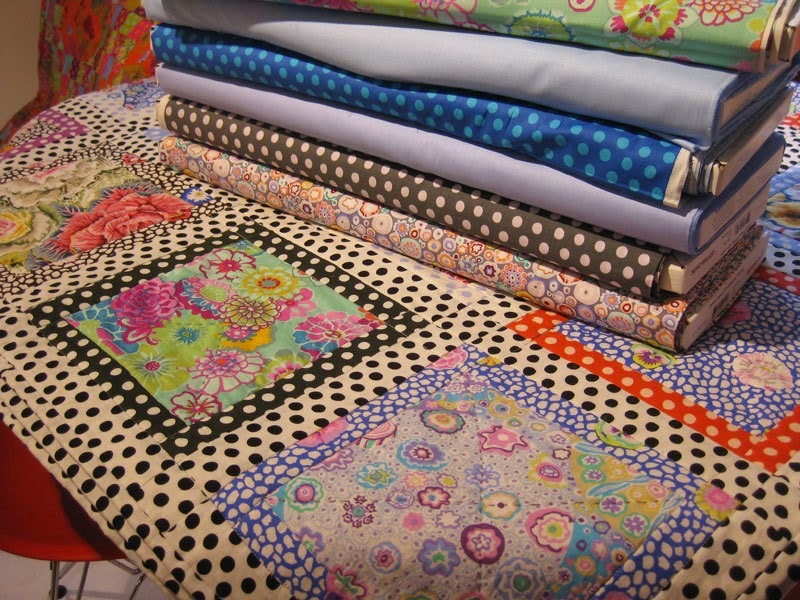 I love Liberty fabrics and the Liberty shop. When I lived in Amsterdam (some 40 years ago!!) we used to go to London for weekends. And to Paris, as a matter of fact! London with the night boat, Paris with the night train! 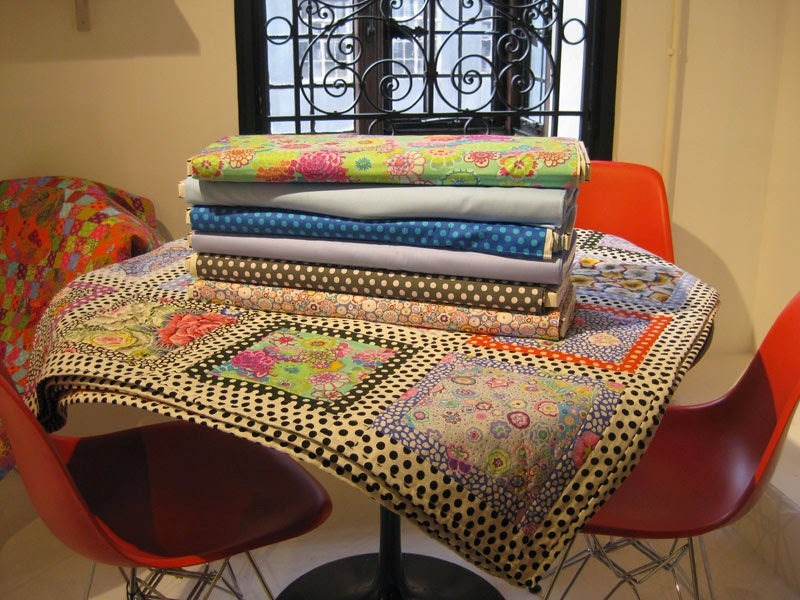 At that time my mother made a beautiful patchwork tablecloth from Liberty fabrics. The only patchwork she ever did! Great! 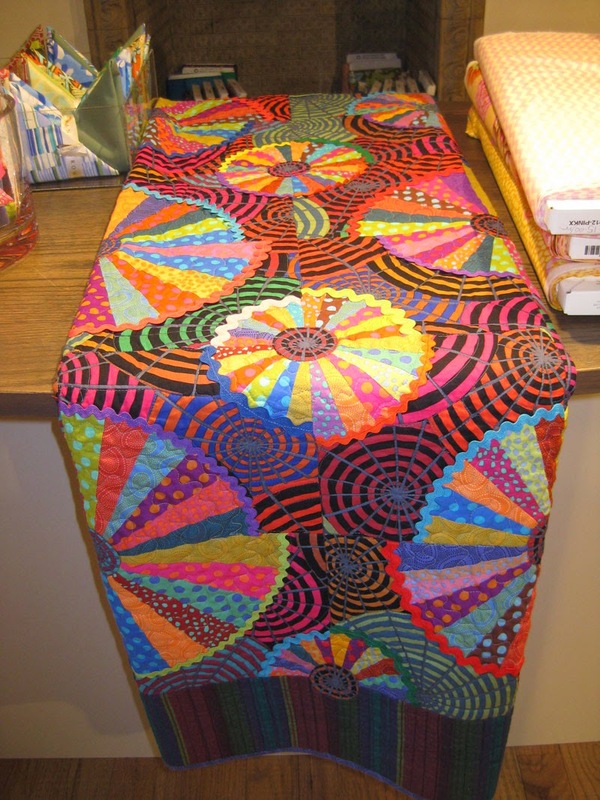 I hope you still have this tablecloth! Well it really is fun Laura! Great post! I hope to visit one day. Looking forward to the second one! Thank you for sharing your tour of Liberty's, I have really enjoyed reading this post. Hi Christine, Pleased to meet you. 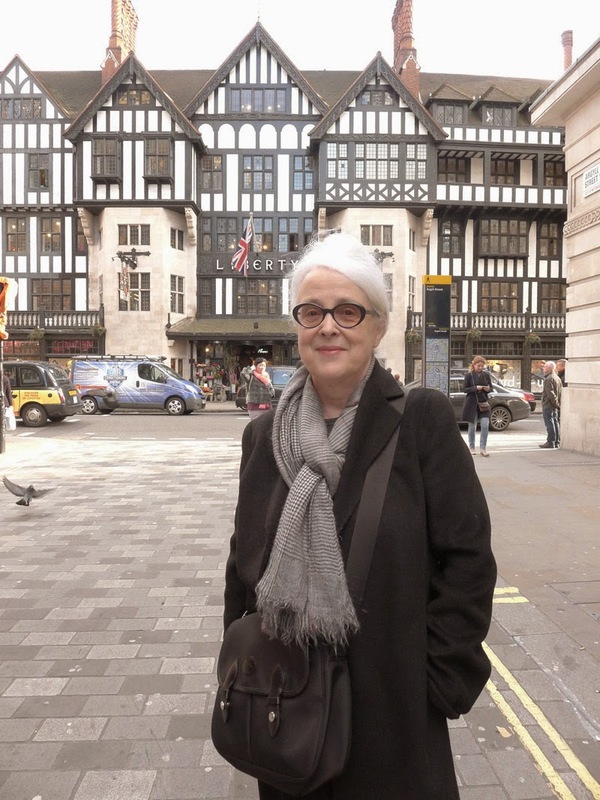 I love your blog header and your photos of Liberty´s - making me feel homesick, so awaiting your next post. I´m your newest follower. Wow. What a store. 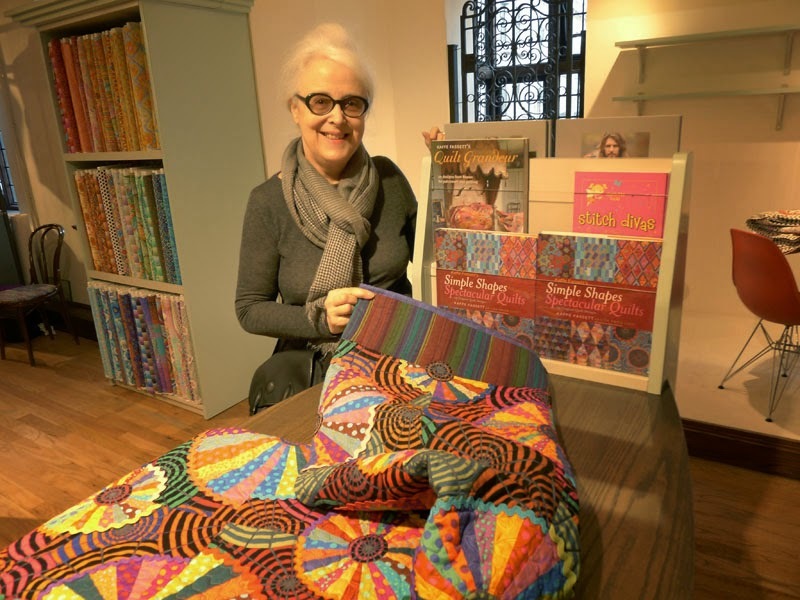 The quilts are so colorful and vibrant. Thanks for sharing.